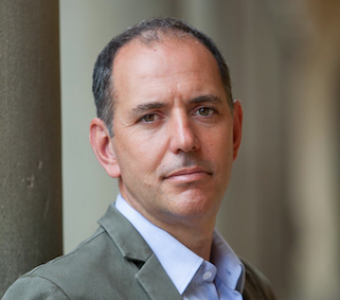 The use of price approaches to tackle carbon emissions has been widely defended by experts on several grounds such as cost-effectiveness or the positive effects on innovation. Companies might introduce internal carbon prices to fill a regulatory vacuum; to prepare for future regulatory actions in this area; to abate emissions efficiently; to define sustainable investment strategies; and to obtain resources to foster internal mitigation or to offset environmental damages. This seminar described practical applications of internal carbon pricing across a wide range of countries and business sectors, with a previous discussion of the foundations, ideal design and global trends in the use of these mechanisms. 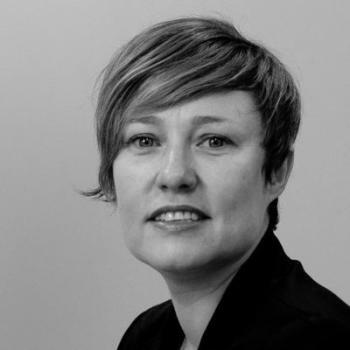 This seminar, by Nicolette Bartlett (Climate Change Director, CDP) and co-organized with the Spanish Green Growth Group, was held at Funcasheadquarters (Caballero de Gracia 28, Madrid) with an audience mostly coming from the business sector and academia. 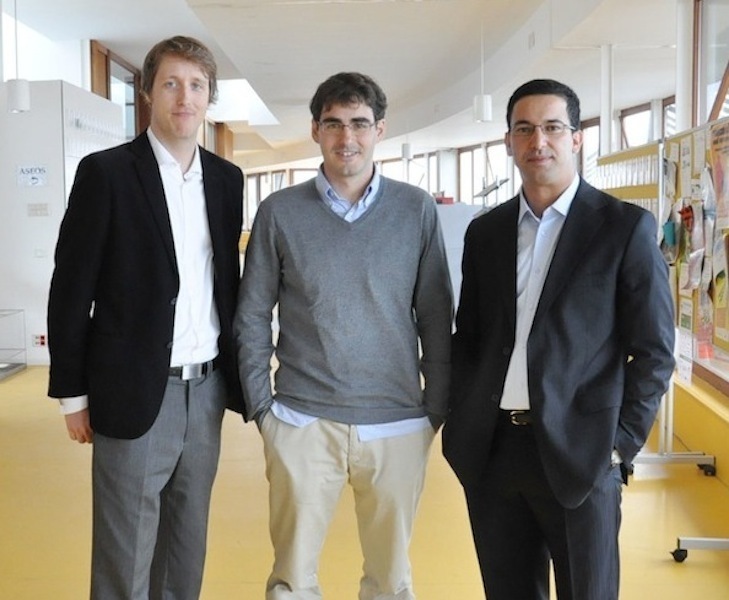 Economics for Energy, in collaboration with the Spanish Association for Energy Economics (AEEE), organized a new academic workshop devoted to the analysis and discussion of advanced research topics in energy and environmental economics. 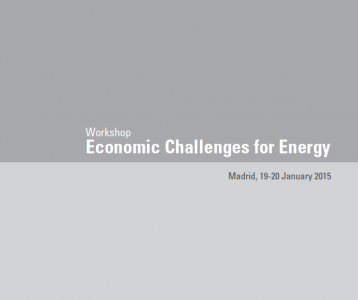 The workshop was held at the headquarters of Funcas (Caballero de Gracia 28, 4th floor, Madrid) and included presentations by four leading energy economists: Natalia Fabra (UC3M), Joan-Ramon Borrell (UB), Juan P. Montero (PUC Chile) and María Loureiro (USC). The objective of this Barometer is to evaluate the progress of energy transition in Spain with respect to three major components of European energy policies: de-carbonisation, energy affordability and security of supply. With this aim, the Barometer provides three indicators to observe the evolution of energy transition with annual updates. 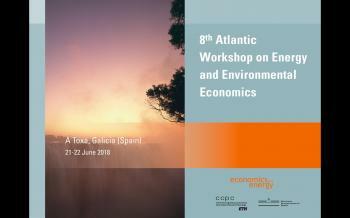 The Atlantic Workshop on Energy and Environmental Economics (AWEEE) is a biennial scientific meeting, born in 2004, which is organized by Economics for Energy with the collaboration of CEPE (ETH Zurich) and the University of Münster (CAWM) and the support of ECOBAS. The workshop has become an important outlet for the discussion and debate on state-of-the-art research on energy and environmental issues, with a limited number of participants who come from all around the world. The AWEEE combines keynote lectures on specific topics by prestigious academics with the presentation of research by invited speakers and by other participants, including a poster session, through an open call for papers. In collaboration with the Areces Foundation, Economics for Energy organized its eight annual workshop devoted to the state-of-the-art analysis and debate on the main research lines of the center. As in previous occasions, the workshop brought together prestigious international experts in the selected topics and an audience of leading representatives of firms, public administrations and universities. 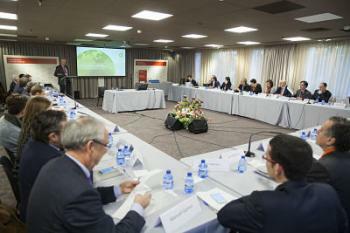 In collaboration with the Spanish Association for Energy Economics (AEEE), Economics for Energy organized a new academic workshop devoted to the state-of-the-art analysis and debate on energy and environmental economics. 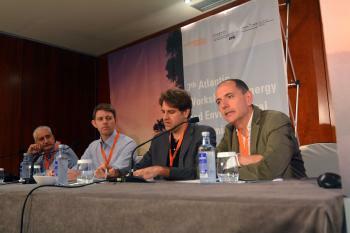 The workshop included three presentations and their corresponding discussions by Spanish and international academics, and hosted the presentation of the supplemental issue of Energy Economics with participants of the last Atlantic Workshop (A Toxa, 2016). This event was mainly aimed for researchers and took place on Thursday 15th of February between 10.00 and 13.45 in the Fundación Areces (Vitruvio 5, Madrid). David Sandalow, director of the Energy and Environment Concentration at Columbia University lectured on "the new geopolitics of energy". The event, in collaboration with the Ramón Areces Foundation, took place in the headquarters of the foundation on February 15th at 19.00. 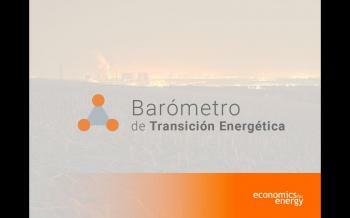 Presentation of the first report on energy transition in Spain of Economics for Energy. 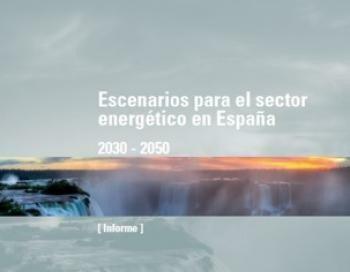 Economics for Energy has presented on 13 december in the Areces Foundation the first of its reports on energy transition in Spain, with an economic, environmental and technological assessment of the possible scenarios for the Spanish energy sector in 2030 and 2050. The directors of Economics for Energy, Pedro Linares and Xavier Labandeira presented the report and answered the questions from the audience. 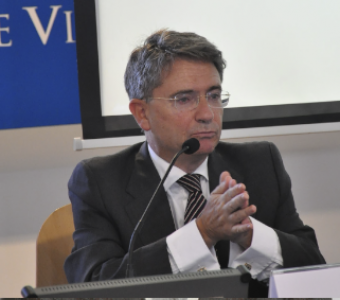 Robert Hahn, Professor at Oxford University lectured on "Behavioral Economics: The Revolution Will be Live". The event, in collaboration with the Ramón Areces Foundation, took place in the headquarters of the foundation on September 14th. 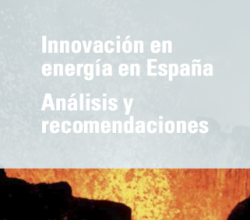 Presentation of the Economics for Energy Report: "Energy security in Spain: Economic Analysis and Action Proposals"
The sixth report of Economics for Energy was presented 21 June in Enerclub. This document is the result of the research on energy security conducted over the past year by the center. The directors of Economics for Energy, Pedro Linares and Xavier Labandeira presented the report and answered the questions from the audience. In collaboration with the AEEE, Enerclub and Areces Foundation, the seminar on the so-called ‘Winter Package’ of the European Commission (published in November 2016) focused on the economic effects and other implications for Spain of this package of policy measures. In collaboration with the Areces Foundation, Economics for Energy organized its seventh annual workshop devoted to the state-of-the-art analysis and debate on the main research lines of the center. As in previous occasions, the workshop brought together prestigious international experts in the selected topics and an audience of leading representatives of firms, public administrations and academics. Attendance was only by invitation, although the presentations and other materials from the workshop are available in this website. In collaboration with the Areces Foundation and the AEEE, Economics for Energy organized its second academic workshop devoted to the state-of-the-art analysis and debate on topics of interest for the center through a small number of presentations by leading researchers in the field. 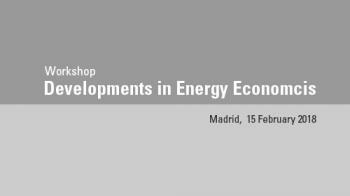 The workshop took place on February 15th and targeted researchers and experts in the fields of energy and environmental economics. Seminar by Daniel Kammen in Madrid: "Open Session: The Science and Policy of Sustainable Energy"
Daniel Kammen, Professor of Energy at the University of California, Berkeley, lectured on the Science and Policy of Sustainable Energy. The event, in collaboration with the Ramón Areces Foundation, took place in the headquarters of the foundation on February 15th. 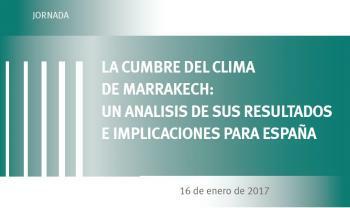 The Workshop discussed the main conclusions and results of the COP15, held Marrakech during November 2016. The activity was organized in collaboration with the AEEE, Areces Foundation, BP Chair for Sustainable Development and financial support of Iberdrola. 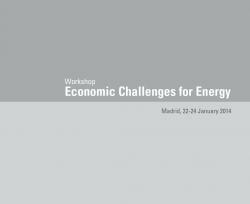 The Atlantic Workshop on Energy and Environmental Economics is a biennial scientific meeting organized in collaboration with the CEPE (ETH) and the University of Münster, and with the financial support of ECOBAS. The workshop has become an important outlet for the discussion and debate on state-of-the-art research on energy and environmental issues, with a limited number of participants coming from all around the world. Full information here. In collaboration with the Areces Foundation, Economics for Energy organized its sixth annual workshop devoted to the state-of-the-art analysis and debate on the main research lines of the center. As in previous occasions, the workshop brought together prestigious international experts in the selected topics and an audience of leading representatives of firms, public administrations and universities. 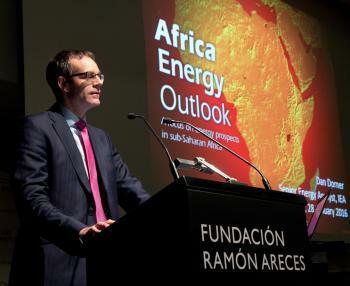 Seminar by Dan Dorner in Madrid: "Open Session: Energy in Africa"
Dan Dorner, Senior Analyst of the International Energy Agency, provided a presentation on “Energy Perspectives in Africa” that dealt with one of the less explored regions of the global energy system. The event was organized in collaboration with the Ramón Areces Foundation. In collaboration with the Areces Foundation and the AEEE, Economics for Energy organized an academic workshop devoted to the state-of-the-art analysis and debate on topics of interest for the center with a small number of presentations provided by leading researchers in the field. The workshop targeted researchers in the fields of energy and environmental economics. 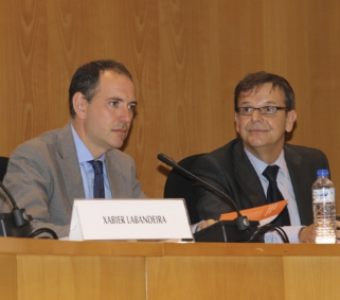 Presentation of the Economics for Energy Report: "Energy Poverty in Spain: Economic Analysis and Action Proposals"
The fifth report of Economics for Energy were presented past 28 May in the Conference Room of the Universidad Pontificia Comillas. This document is the result of the research on energy poverty conducted over the past year by the center. The directors of Economics for Energy, Pedro Linares and Xavier Labandeira presented the report and answered the questions from the audience. The Spanish Association for Energy Economics (AEEE), Economics for Energy and the Spanish Ministry of Agriculture, Food and Environment (MAGRAMA) with the collaboration of the Spanish Energy Club (Enerclub) organized the conference "International negotiations on climate change: Opportunities for the Spanish economy". This conference aimed to reflect on how to deal in a positive way the final stage of the negotiation process of the Conference of the Parties (COP 21) of the United Nations Framework Convention on Climate Change, to try to make the most of the opportunities for the Spanish economy of the unstoppable process of transformation towards a low carbon global economy. The event took place in the Great Hall of the Universidad Pontificia Comillas in Madrid. 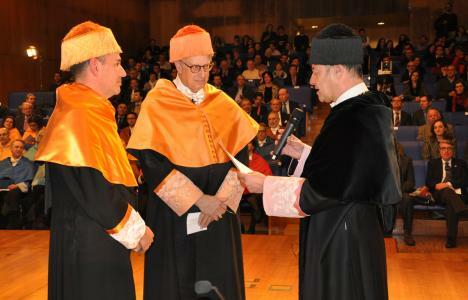 Michael Hanemann, member of the Scientific Board of Economics for Energy, became the past January 29th in the twenty-fifth honorary doctor of the University of Vigo. 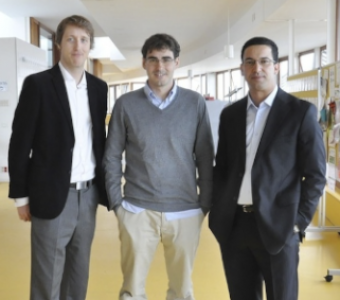 The proposal was supported by ten legal and social field departments and was sponsored by the President of Economics for Energy, Xavier Labandeira. 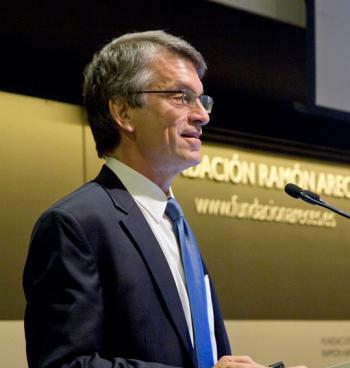 His major contributions in the field of environmental economics water and climate change, his work in areas of strategic interest in the University of Vigo and its connection with Vigo, Galicia and Spain are the three pillars on which the Department Applied Economics sustained the proposed honorary doctorate to the professor W. Michael Hanemann. In collaboration with the Areces Foundation, Economics for Energy organized its fifth annual workshop devoted to the state-of-the-art analysis and debate on the main research lines of the center. As in previous occasions, the workshop brought together prestigious international experts in the selected topics and an audience of leading representatives of firms, public administrations and universities. Jesús Serrano, member of Energy Regulatory Commission of the Mexico Government, lectured on "Energy Reform in Mexico". 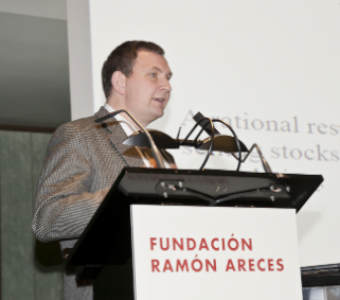 The event, organized in collaboration with Ramón Areces Foundation, took place in the foundation’s headquarters in Madrid. 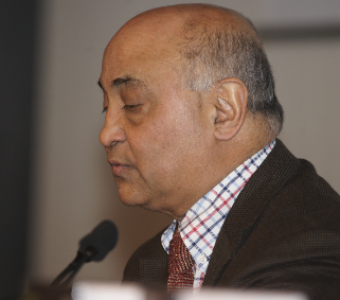 Economics for Energy and the Spanish Association for Energy Economics (AEEE), in collaboration with the School of Engineering (ICAI) from the Comillas Pontifical University organized the conference on "Energy poverty in developed countries: An economic approach". This event aimed to answer several questions related to energy poverty from a predominantly economic perspective, with the presence of international academics, representatives of social organizations and the Spanish administration. 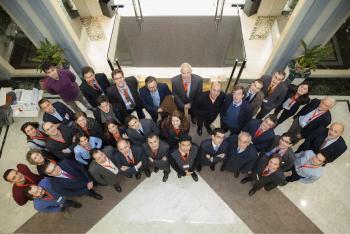 The conference took place in the ICAI bulding in Madrid. 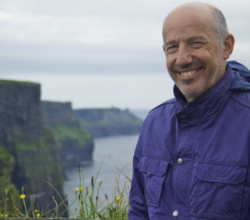 Xavier Labandeira, professor in the Department of Applied Economics at the Universidade de Vigo, professor at the European University Institute and director of Economics for Energy, spoke on the WG3 of the IPCC report by mitigation of climate change. The event, which was organized in collaboration with the Master in Management of Sustainable Development and the Schools of Marine Sciences, Biology and Chemistry at the Universidade de Vigo, was part of a series of seminars that presented the IPCC 5th Assessment Report. The event took place in the auditorium of those schools (Campus of the University of Vigo). 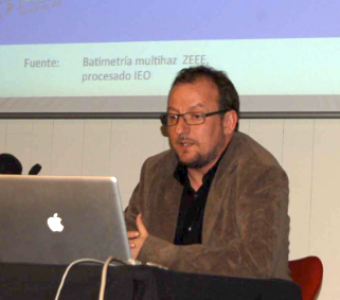 Íñigo Losada, Professor of Hydraulic Engineering and director of the Environmental Hydraulics Institute of the University of Cantabria, spoke on "Climate change on the coast by WG2 of the IPCC and its implications for the Spanish coast". The event, which was organized in collaboration with the Master in Management of Sustainable Development and the Schools of Marine Sciences, Biology and Chemistry at the Universidade de Vigo, is part of a series of seminars that will present the IPCC 5th Assessment Report. 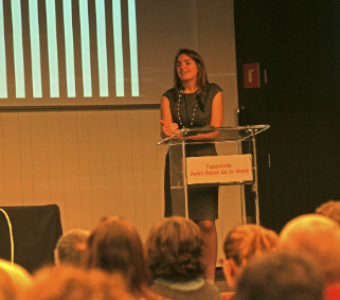 The event took place in the auditorium of those schools (Campus of the University of Vigo). 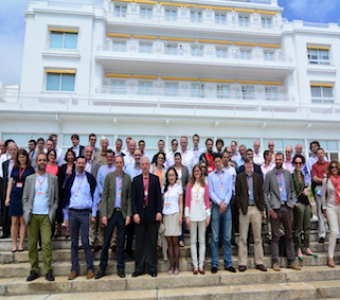 The Atlantic Workshop on Energy and Environmental Economics is a biennial scientific meeting organized in collaboration with the Centre for European Economic Research (ZEW). The workshop has become an important outlet for the discussion and debate on state-of-the-art research on energy and environmental issues, with a limited number of participants coming from all around the world. Full information here. In collaboration with the Areces Foundation, Economics for Energy organized its fourth annual workshop devoted to the state-of-the-art analysis and debate on the main research lines of the center. As in previous occasions, the workshop brought together prestigious international experts in the selected topics and an audience of leading representatives of firms, public administrations and universities. 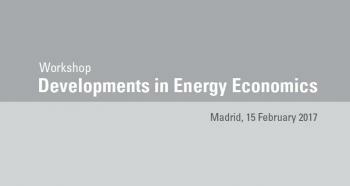 The fourth report of Economics for Energy was presented on Thursday 23 january at the Areces Foundation. 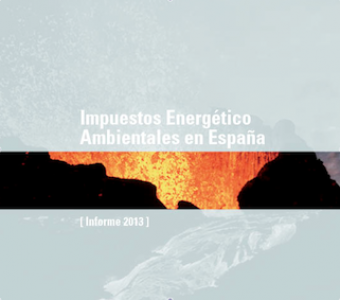 This document was the result of the research on energy and environmental taxes in Spain conducted over the past year by the center. Xavier Labandeira and Pedro Linares, directors of Economics for Energy, presented the report and answered questions from the audience. The full version of the report (and executive summary) are downloadable from the publications section of our webpage. Muhammad Saggaf, president of KAPSARC (King Abdullah petroleum Studies and Research Center), lectured on "Energy from a Societal Perspective". 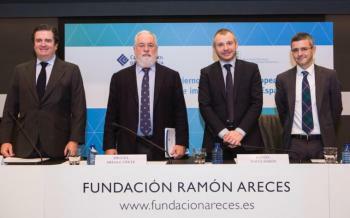 The event, organized in collaboration with Ramón Areces Foundation, took place in the foundation’s headquarters in Madrid. Juan Añel, researcher in Climatology and Risk Assessment at the University of Oxford and University of Vigo (part-time) spoke on "The Fifth Assessment Report of WG1 of the IPCC: The Physical Science Basis". The event, organized in collaboration with the Master in Management of Sustainable Development and the Schools of Marine Sciences, Biology and Chemistry at the University of Vigo, is part of a series of seminars that will present the IPCC 5th Assessment Report. 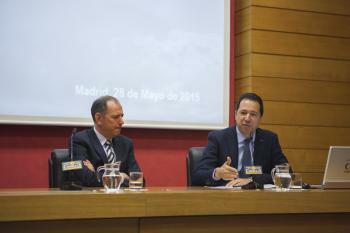 The event took place in the auditorium of those schools (Campus of the University of Vigo). 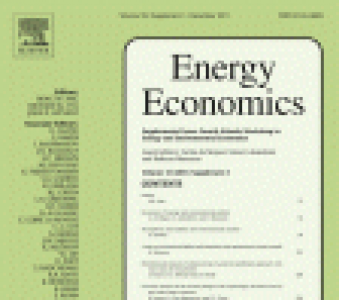 With a selection of papers by participants in the Fifth Atlantic Workshop on Energy and Environmental Economics (2012) on various aspects of Energy Policy and Economics, a special issue of Energy Economics (a leading international academic journals in the field) has been published. This issue has enjoyed the financial support of the Barrie Foundation. The contents of the issue are available in + info. During August 2013 Economics for Energy received the visit of Professors Andreas Lösche (ZEW and University of Heildberg) and Ayumi Onuma (University of Keio). Professor Löschel, affiliate researcher of our center, stayed in Vigo between the 5th and 25th of August, and during his visit we could design and debate future joint research lines in the areas of energy demand and efficiency. Professor Onuma, a Japanese expert in Environmental Economics, visited Economics for Energy during the last week of August to discuss his recent work and to foster further avenues for collaboration between Spain and Japan. 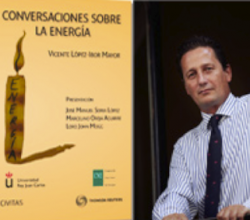 Vicente López-Ibor, director of Estudio Jurídico Internacional, Lecturer of UP Comillas and member of the Observatory of Public Procurement of the EC presented his book "Conversaciones sobre energía". The event took place in Vigo and was organized by Economics for Energy in collaboration with the Social Council of the University of Vigo. Antonio Álvarez, Head of Environmental Sustainability in Inditex, lectured on Environmental Sustainability in the Value Chain of Inditex. The event, in collaboration with the Barrié Fundación and the Master in Management of Sustainable Development of the University of Vigo, took place in the Vigo headquarters of the Barrié Foundation. 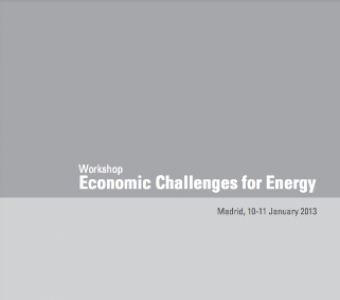 The third report of Economics for Energy was presented on Friday 11 January at the Areces Foundation. This document was the result of the research conducted over the past year by the center in collaboration with the Instituto de Investigación Tecnológica of U. P. Comillas and the Belfer Center for Science and International Affairs (Harvard Kennedy School). Xavier Labandeira and Pedro Linares, directors of Economics for Energy, presented the report and answered questions from the audience. The full version of the report (and executive summary) are downloadable from the publications section of our webpage. In collaboration with the Areces Foundation and with the support of FEEM and Alcoa Fundation, Economics for Energy organized its third annual workshop devoted to the study and debate on the main research lines of the center. As in previous occasions, the workshop brought together prestigious international experts in the field of energy economics who interacted with an audience of leading representatives of firms, public administrations and universities. 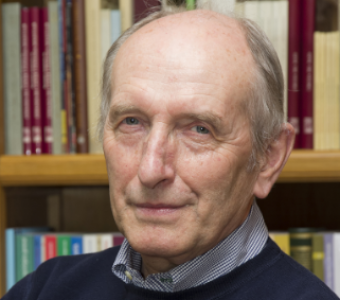 Vaclav Smil, Professor Emeritus at the University of Manitoba and a Fellow of the Royal Society of Canada (Science Academy), lectured on "Energy myths and realities. 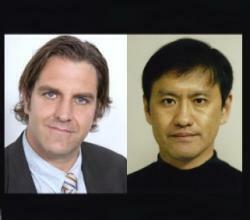 bringing science to the energy policy debate". The event, organized in collaboration with Ramón Areces Foundation, took place at the headquarters of the foundation in Madrid. 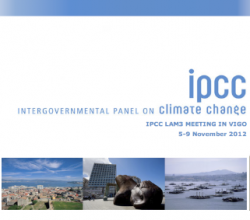 Vigo hosted a meeting of lead authors that the Group III of the Intergovernmental Panel on Climate Change (IPCC) within the process of development of the next assessment report on climate change mitigation. Economics for Energy, together with the University of Vigo, collaborated in the organization of the event, which had the support of the Galician government, the city council of Vigo, foundations Barrie, Entrecanales and Ramón Areces, the Basque Centre for Climate Change (BC3) and the Spanish representative at the IPCC, the Ministry of Agriculture, Food and Environment. More information on this meeting is available in eforenergy.org/ipcc. 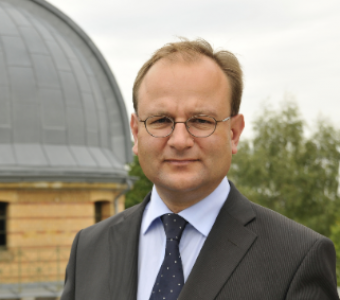 Ottmar Edenhofer, co-chair of Working Group III of the Intergovernmental Panel on Climate Change (IPCC) and Professor and Director of the Potsdam Institute for Climate Impact Research (PIK), lectured on 'the atmosphere as a global common good: from tragedy to drama' at the headquarters of the Barrié Foundation in A Coruña. The event was organized in collaboration with Barrie Foundation. 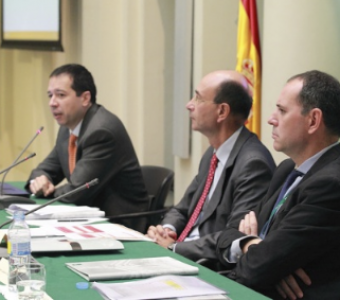 The workshop focused on environmental taxes and their application in the energy domain. As practical applications by different countries have been quite heterogeneous, a first panel was devoted to describe the experiences in the UK, Ireland, France and Germany. 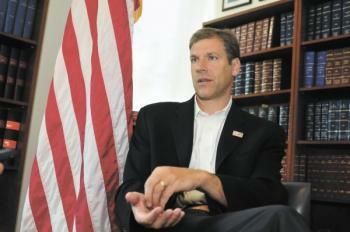 This was followed by a general discussion on environmental taxes within fiscal, energy and environmental policies. The workshop provided a rich view from different stakeholders: private firms, public administrations and academia. 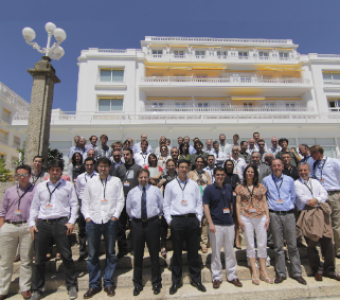 The Atlantic Workshop on Energy and Environmental Economics is a biannual scientific meeting organized by Fundación Barrié, Economics for Energy and the research group rede at the University of Vigo. The workshop has become an important outlet for the discussion and debate on state-of-the-art research on energy and environmental issues, with a limited number of participants coming from all around the world. Full information in www.eforenergy.org/toxa and in +info. 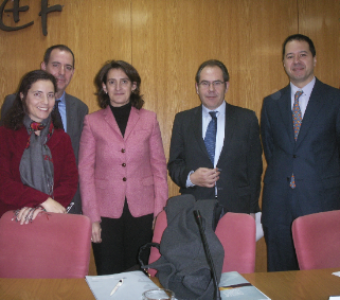 Carmen Becerril, President of Acciona Energía, lectured on global energy trends and lessons for Spain. 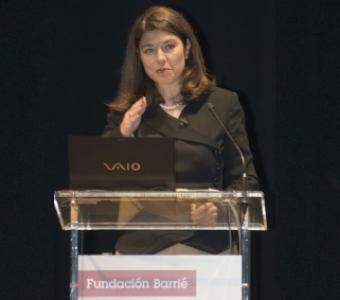 The event, in collaboration with the Barrié Foundation, took place in the headquarters of the foundation in A Coruña. Lutz Kilian, professor at the University of Michigan and a leading energy economist, was in charge of the open session of the annual workshop of Economics for Energy. 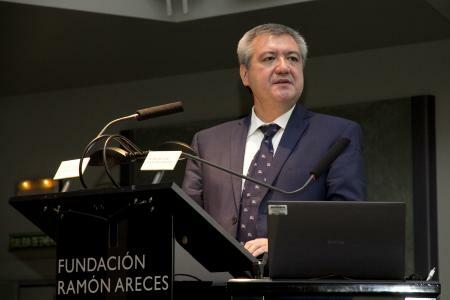 His presentation was devoted to the economic impacts of oil demand and supply shocks, and was organized in collaboration with the Areces Foundation in its Madrid headquarters. In collaboration with the Areces Foundation and with the support of FEEM, Economics for Energy has organized its second workshop devoted to the study and debate on the main research lines of the center. The workshop brought together prestigious international experts in the field of energy economics and was directed to an audience (by invitation) of leading representatives of firms, public administrations and Universities. 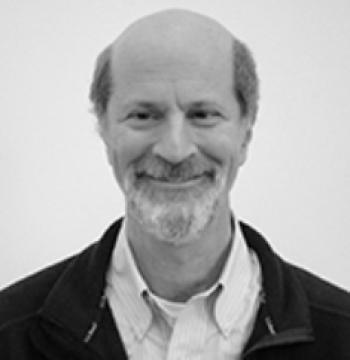 The workshop was closed with a keynote lecture by Lutz Kilian (Michigan), open to the general public. 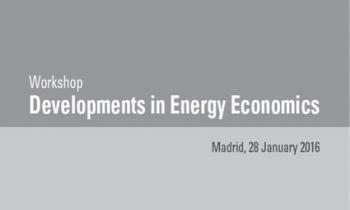 The second report of Economics for Energy was presented on Tuesday 29 November 2011 at the Comisión Nacional de Energía (Madrid). 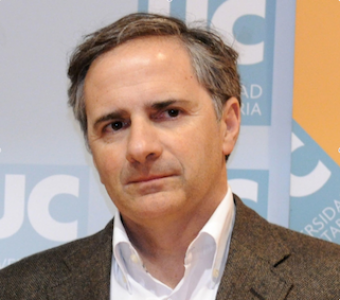 The introductory speech was given by Tomas Gomez, director of the Comisión Nacional de Energía. Afterwards Xavier Labandeira and Pedro Linares, directors of Economics for Energy, presented the report and answered question from the audience. The full version of the report and its executive summary are available for download in the publicactions section of our webpage. 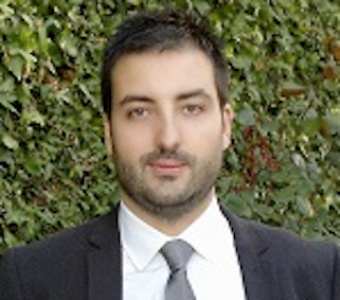 Emiliano López-Atxurra, partner of IBK and member of the board of directors of BBK Bank, Gas Natural Fenosa and Petronor, gave the inaugural lecture of the master in management of sustainable development to a large group of students, academics and business representatives. Atxurra recommended a balanced energy mix to respond to a changing global environment. This activity was carried out in collaboration with Economics for Energy. José R. Camino, President of Alcoa Spain, Javier Guerra, Galician Minister of Industry, Salustiano Mato, President of the University of Vigo, and Xavier Labandeira, Director of Economics for Energy, participated in the official delivery of a 350,000 US$ grant to promote advanced research in energy economics through postdoctoral researchers. 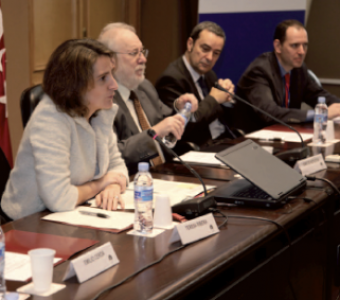 In collaboration with the Institute for Fiscal Studies and supported by Alcoa Foundation, Energy Economics organized a Workshop to explore and discuss the present and the future of energy and environmental taxation in Spain. As part of the Conference Series on Energy, Sustainabillity and Firms, organized by Economics for Energy, rede and the Fundación Barrié, Daniel Rey (Group of Marine and Environmental Geology of the University of Vigo) gave a seminar on scientific exploration to the Great Burato, about 250 miles in front of the Galician coast, to explore the possible gas reserves. 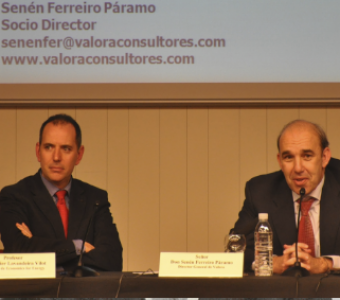 As part of the Conference Series on Energy, Sustainabillity and Firms, organized by Economics for Energy, rede and the Fundación Barrié, Senén Ferreiro (General Director of Valora) gave a seminar on challenges and opportunities that the Economics of Climate Change after Cancun. In collaboration with the Fundación Areces and with the support of FEEM, Economics for Energy organized its first workshop devoted to the study and debate on the main research lines of the center. Directed to an audience of leading representatives of firms, public administrations and Universities, the workshop had the participation of a significative group of prestigious national and international experts. 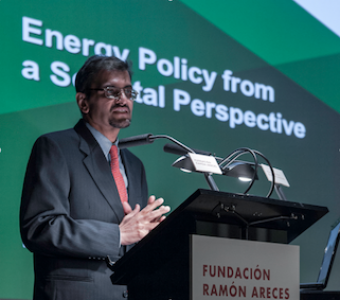 As part of the Conference Series on Energy, Sustainabillity and Firms, organized by Economics for Energy, rede and the Fundación Barrié, Dr. Anil Markandya (Director of BC3) gave a seminar on the Economics of Climate Change after Cancun. 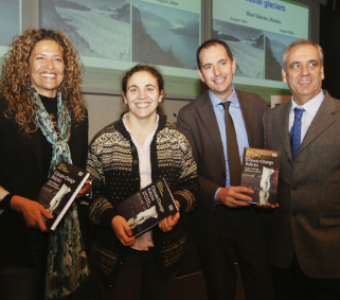 The editors, Emilio Cerdá and Xavier Labandeira, presented a book that covers the main economic aspects associated to the application and design of climate change policies. The book includes contributions by 28 prestigious national and international experts, who had joined an Economics for Energy workshop on the issue. 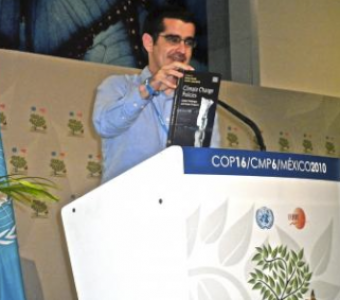 Ibon Galarraga, one of the authors of the book that covers the main economic aspects associated to the application and design of climate change policies, provided information on it during the Cancun summit. 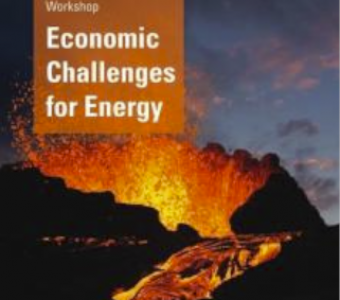 The book includes contributions by 28 prestigious national and international experts, who had previously joined an Economics for Energy workshop on the issue. 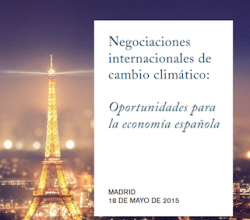 The first report of Economics for Energy was presented in the Instituto de Estudios Fiscales (Madrid) with the presence of the Secretary of State for Climate Change, the General Director of the IEF, the Directors of Economics for Energy and the co-author of the report. 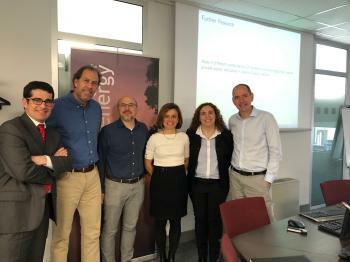 As part of the Conference Series on Energy, Sustainabillity and Firms, organized by Economics for Energy, rede and the Fundación Barrié, Rosa García (Alcoa) gave a seminar on Green Policies: Risks and Opportunities. 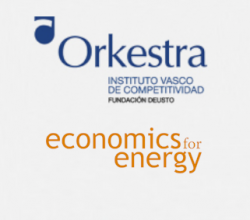 Economics for Energy joins the Fundación Barrié and the research group rede, of the University of Vigo, in the organization of the Atlantic Workshop on Energy and Environmental Economics. 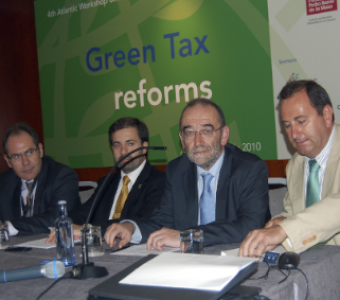 In its fourth edition, the workshop had as its guiding issue green tax reforms, with extended presentations on the issue by Gilbert Metcalf and Agnar Sandmo. 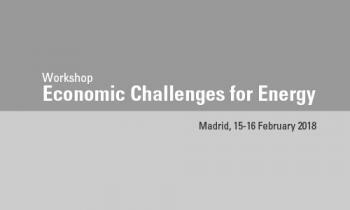 In February 2010 Economics for Energy organized an international workshop on climate change policies, in collaboration with ICEI (Complutense University). WIth the presence of prestigious international experts, such as the nobel prize recipient James Mirrlees, the workshop dealt with the main economic aspects associated to the design and effects of those policies, for an audience of leading representatives of firms and public administration.